2) We have publically available online images of most of the uncials critical for Textual criticism except 03, (strikethrough 06,) 09, and 16.
perhaps we can convince Peter to sneak into the Trinity library and photograph 09;). Of course I mean 010, not 09 (the latter has been on-line for a while now. 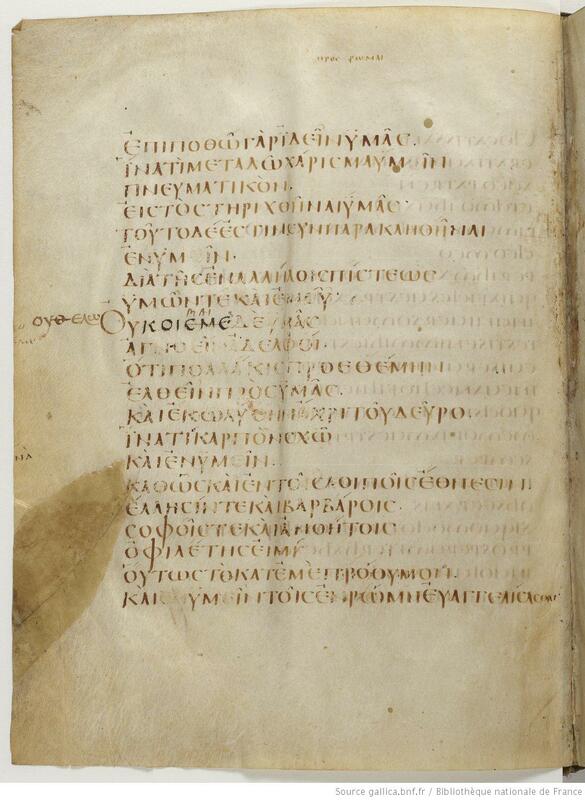 But, let's not forget on the BnF Gallica site MSS with Byzantine text relevancy like Grec. 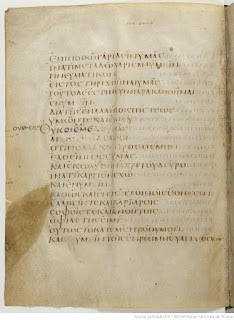 49 or GA8 a Kx MS utilized by Stephanus as ζ' in his 1550 editio regia or L60 among others others on the site. I had not see a picture of Codex Claramontanus in color, and to me the most striking feature is that the quotations from the Old Testament are set out in red letters, and indented, in both Greek and Latin columns. This sixth century copyist was awake to the importance of the Old Testament in the New. And notice that the BnF MSS are not just available for online view. You can download them! It took a while, but I just finished downloading Codex Claromontanus earlier today.